Fire Agate Heart pendant. Faceted Crab Fired Fire Agate focal bead. Druk & Red Sandalwood mala bead from Bouddha Nath. Blessed by Lama in Nepal. From the roof of the world. Traditional craft passed down the centuries, precious materials & sacred stones woven into a magical spell. A sacred keepsake for your spiritual journey. Native crafts help support Tibetan refugees. Reiki Tummo energy blessing added for health & happiness. I must always cherish all living beings. Karma is very simple, really. All of our actions of past, present & future are causes & all of our experiences of past, present & future are effects. Therefore, if we are experiencing positive circumstances now (being taken care of, being loved, living in a comfortable environment, good health), they are the result of our having performed related virtuous actions in this or previous lives. The motivation for performing such virtuous actions almost always involves cherishing others in one way or another. Whatever pleasant circumstances we have, we can thank ourselves for cherishing others to generate them & if we want to have similar circumstances in the future, we must keep cherishing others to create the necessary good karma. If we are not enjoying pleasant circumstances, if others are taking advantage of us or treating us poorly, we can turn this situation around. Our cherishing others now always results in positive effects later. One of the laws of karma is that an action is never wasted. The virtuous seeds we plant will ripen. One catch, though, is that we need to take the long view. Virtuous seeds planted in this life may not ripen until our next life, or in lives after that. But one thing we can be sure of is that any time we perform an action of cherishing others, we are creating positive circumstances for ourselves sometime in the future. Amulets protect a person from trouble & bring good luck. 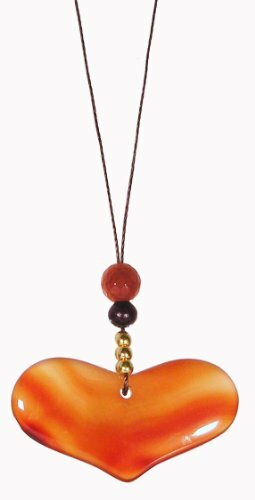 Dakini Designed Amulet for Protection from negative influences.